Istanbul is a great city to visit! If you decide to come Agile Days Istanbul, you can enjoy the city the day before/after the event! We tried to list top things to do in Istanbul! Visit the top-tier historic sights such as the Aya Sofya (Hagia Sophia) and Topkapı Palace is a must, of course. Must see the Blue Mosque. Don’t worry about dressing appropriately. 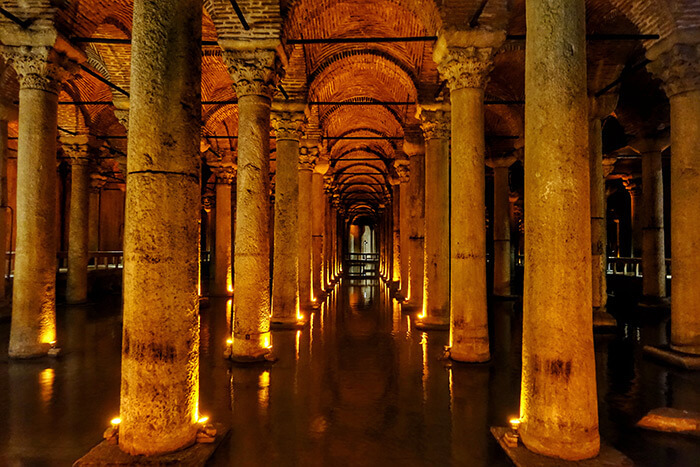 Explore the underground with a walk through Basilica Cistern It was built in 532 AD, right in the middle of Sultanahmet (the old town), and water was transported here from the Belgrade Forest, 19km away. There are 336 columns inside, darkness and an echo, which will make this place even more remarkable than it is. Get lost in the narrow streets of The Grand Bazaar and Spice Bazaar. The Grand Bazar is more than 500 years old, but still one of the biggest covered markets in the world – it has more than 60 streets, 5000 shops, 60 restaurants, 18 fountains, 12 mosques and even a school. Relax in Gülhane park.It is near the famous Topkapı palace. Balat and Fener are full of idiosyncratic second-hand shops and antique dealers where you can get lost in nostalgia. Visit Istiklal Street and Taksim Square. More than 3 million people per day visit this area. 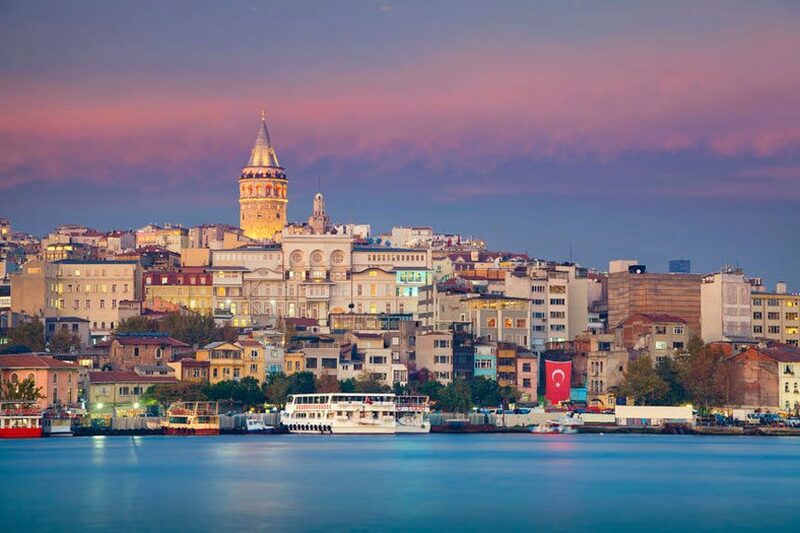 See the Tower of Galata, at sunset. It has an absolutely breath taking view. Visit the Dolmabahçe Palace. See the death bed of the most loved Turkey ruler Atatürk, the father of modern Turkey. Try Turkish coffee, most probably you’ll try it multiple times. Try Turkish Kebap & Raki, don’t forget foods in Istanbul is amazing! Take a dinner at sea side, Bosphorus where Asia & Europe connects.